Rental properties move fairly fast in the current market, so make sure you register on our website for email alerts or call into the office to discuss your specific requirements. Click here to view our current properties. When you see a property of interest, we will be happy to answer any questions you have and arrange an accompanied viewing. Once you have found a property you like, you will be asked to complete an application and referencing form. Full credit checks are made on every applicant. A referencing/application fee of £180 per applicant is payable prior to any application being processed. There is no additional charge should a guarantor be required or any other tenant charges during or at the end of the tenancy. We will check through your completed forms and then ask for the application fee. This is non-refundable in the event of your application being unsuccessful or if you decide not to proceed, but will be returned if the landlord withdraws the property. Howard Douglas do not charge tenants any other fees. Once the referencing process has been satisfactorily completed we will prepare the tenancy agreement and other important documentation. You will be provided with an ‘entry statement’ invoice for payment at least 48 hours prior to the moving date. This will include the first month’s rent and deposit (usually one month’s rent). The deposit is held in order to protect the landlord against any damages that need to be repaired at the end of the tenancy. It is usually an amount equivalent to one month’s rent though may be higher in certain circumstances, such as if the landlord agrees to allowing the tenants to keep a pet within the tenancy. Deposits will be registered and held with The Deposit Protection Service (DPS) and full terms and conditions of the scheme will be provided prior to commencement of the tenancy. Once your tenancy has started, you will be provided with a detailed schedule of condition and inventory of the landlord's belongings at the property. You will be asked to read this through carefully and sign a copy to confirm that it is a fair and accurate representation of the property’s condition. By both parties agreeing that the schedule of condition/inventory is correct at the start of the tenancy, any risk of disputes at the end of the tenancy will be minimised. Rents are paid monthly in advance (unless otherwise agreed at commencement of the tenancy) and should be paid direct to our client account by way of standing order or online banking. Rents should be received in cleared funds by the due date outlined in the tenancy agreement. Please note a standing order is you paying us, not us requesting payment from you, so it is the responsibility of the tenant to cancel this at the end of the tenancy. As part of our management services for your landlord, we carry out inspections at the property every twelve weeks. The purpose of these visits is to ensure that the property is being well kept and is being maintained properly. It gives us the opportunity to report to the landlord if there are any leaks, cracks or potential hazards which could cause further damage. We will also check that tenants are keeping the property clean and hygienic and that basic housekeeping is being carried out regularly to prevent problems such as condensation mould forming, thus alleviating any damage being caused, for example, by poor ventilation. If the property has a garden, the maintenance of this will be the responsibility of the tenant (mowing lawns, keeping planters, borders and driveways weed free and basic pruning of hedges etc), unless stated differently in the tenancy agreement, and these will also be checked at the time of the inspection. These visits will take place in office hours and tenants will be informed in writing (one week before) of the time and date the inspection is planned. 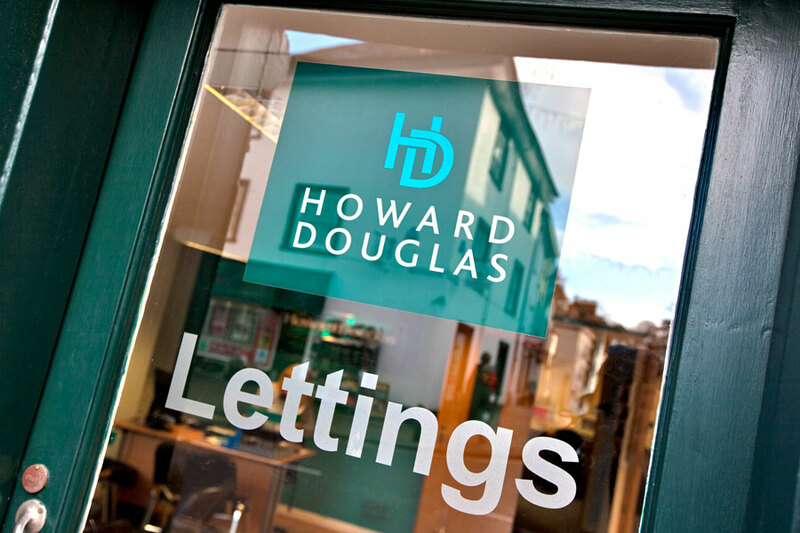 There is no need for tenants to be present at the inspections as Howard Douglas Estate Agents hold a key. However, if you would like to be present and wish to rearrange the inspection, or if the time is inconvenient, visits can be re-arranged. We have an out of office hours emergency telephone number for tenants which is supplied at commencement of the tenancy. It is the tenant’s responsibility, at all times, to take the appropriate initial action to reduce any damage to the landlord’s property and then to advise the agent of the problem and any action taken. For example, if a water leak is found, then the water should be turned off as quickly as possible and any tanks drained to prevent further leakage, while the agents are contacted. Once the agents are notified, they will take all further action necessary, as they see fit, and tenants are expected to act in a reasonable manner and to take into account the thought – how much of my own money would I spend if this were my own property? Would I survive until the next working day without hot water, power etc? It may sometimes be necessary to gain access to the property to carry out any maintenance or scheduled safety inspections. We have a trusted list of contractors who we will appoint to carry out the works. Where possible, 24 hours prior notice will be given for these appointments and keys can be issued to the contractors if tenants are unable to meet them at the property. In case of emergency, it may be necessary to gain access without notice. Again, where necessary, only trusted contractors will be issued with a key. What happens once the initial six month term is over? The majority of tenancies are for a minimum initial six month period, and if neither party wishes to end the tenancy at that point, it will carry on into a rolling monthly contract (periodic tenancy). If you wish to end the tenancy at the end of the initial six month term you are required to give not less than one month’s notice.